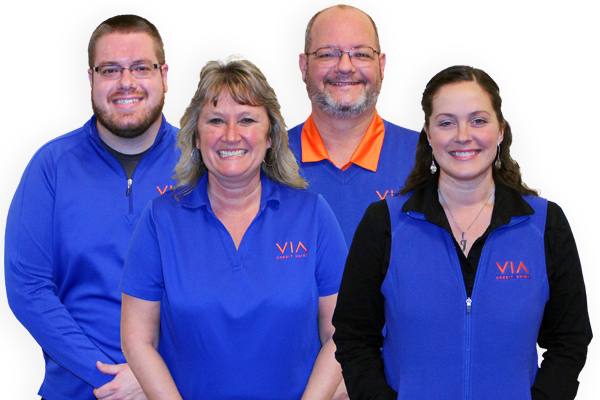 Via Credit Union now has four Certified Credit Union Financial Counselors (CCUFC): Chris Sipes, Rhonda Moore, Jon Trout and Jennifer Herniak. They are committed to improve the overall financial health of our membership. To set up an appointment with a Financial Counselor, call 765.674.6631 or email viacu@viacu.org.